Fergus Highland Rugby Football Club began as a small group of rugby enthusiasts from Fergus looking for a game in 1990. Over the last two decades, thanks to the involvement of community volunteers, sponsors, and parents we have been able to develop into one of the largest rugby clubs in the province, based out of a small community in South Western Ontario. The club strives to provide an inclusive athletic community for all club members, setting itself apart from other rugby clubs that focus primarily on the results of their senior mens' team. At Highland, we believe that safety, skill development and enjoyment of the game are the fundamental building blocks of a successful, sustainable rugby club. 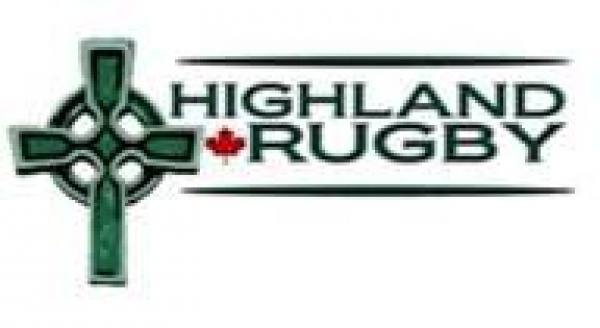 The continually expanding minor rugby division at Highland is widely regarded as one of the best in the province. Skilled, experienced coaches providing our youth rugby players with a safe environment to grasp the fundamentals of the game. The future of Highland Rugby is exciting, as some of these youngsters are sure to develop into future stars. Many Highland athletes have already represented the club on regional and provincial rep teams, and several more have represented Canada! The club offers its athletes the opportunity to participate in overseas tours, and frequently hosts international visitors. Our most recent overseas tour saw the senior men's team visit Portugal. We have also established an exchange program with Market Bosworth Rugby Club in England. We practice and play at our home field Victoria Park in Fergus throughout the Canadian summer, competing in the Niagara Rugby Union branch of the Ontario Rugby Union.